My 2001 Boxster S is missing the emblem on the trunk. Can we all agree that this model originally had a "BOXSTER S" emblem on the trunk? I can see that it is availible in either Titanium or Chrome, which was the original? And what is the height from the edge of the trunk lid to where it sits? 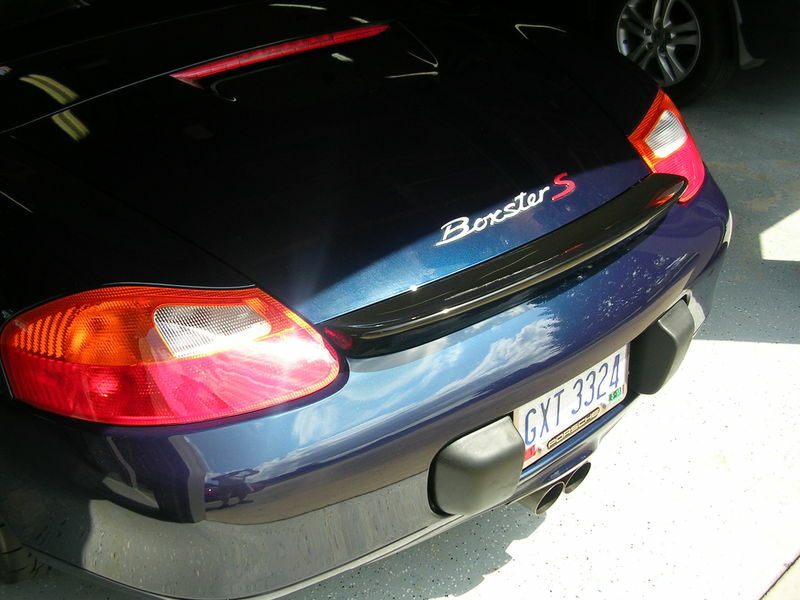 When I had to replace just the broken"Boxster" Portion of my Boxster S trunk emblem, I used this link as my guide. It lined up perfectly with S. My 2003 came with Titanium colored plastic. I don't know if chrome was ever original or not, maybe the PET online parts listing/catalog can help you there. Hope this helps. Definitely not chrome. Mine was titanium, fancy for flat or brushed looking silver. If you look closely at your paint in the right light, you might see a shadow of the old emblem. When I removed mine, simply due to the original paint being untouched, you can see a little ghosting of the letters.